Danske bank analyst point out that the UK PM Theresa May was forced to abandon plans to hold a third 'meaningful vote' yesterday, after members of parliament voted in favour of taking control over the Brexit process by demanding a series of indicative votes on a way forward taking place on Wednesday. 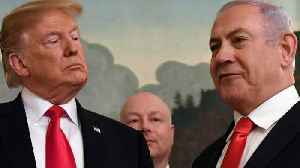 Israeli Prime Minister Benjamin Netanyahu said on Saturday that he would annex Israeli settlements in the occupied West Bank if he wins another term in office. According to Reuters, it's a last-minute..